Pelly asking you for donations? If you're unsure of what you'll get in return, check this guide out. You'll find all the rewards you'll get, from feather to feather. Your town is filled with buildings, and this guide will tell you what each of them has to offer. Frustrated that you can't get that face you want? Look no further, as this guide will steer you through the cryptic questions to get you the face you want. The Golden Tools are the elusive upgraded versions of your standard tools. This guide will give you exact instructions on how to obtain these rare items. Want to get the style the best fits you? Use this guide to get the perfect hair and eyes for your character, fitted just for you! Be the envy of others with hybrid flowers in your town! This guide tells you all about them. After that elusive golden watering can? You'll need to keep your town perfect for over 2 weeks! This guide will help you spruce up your town, so you'll be gardening in style in no time! Not all NPCs are boring! Some will open up to you and tell you about their past. Use this guide to find out when to talk to who and what to say. At least twice a week, you'll get some interesting folks visiting your town. To know who they are and what they do, check out this guide. While it may just seem like a gimmick, your TV actually has a schedule, and can even predict the weather! This "TV Guide" will tell you the schedule so you can catch your show. Ever see a UFO fly across the sky? This guide will tell you what it is, who it is, and what it does. 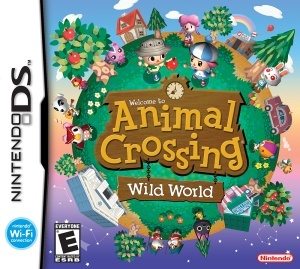 The Wild World of AC:WW has hundreds of animals in it. Check out this guide for a short biography on each animal which can come in your town. In the Museum's coffee shop, The Roost, some NPCs will appear from time to time. To make sure you find who you want, check out this guide to find when they'll appear. In AC:WW, you can find a walrus wandering your town. If you feed him, he'll give you a pattern. This guide will give you a key on what to give Wendell to achieve whichever pattern you desire.